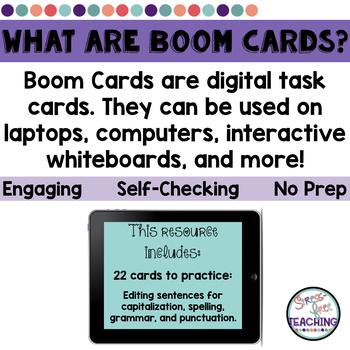 Help your students improve their sentence editing skills with this self-correcting Boom Learning deck. 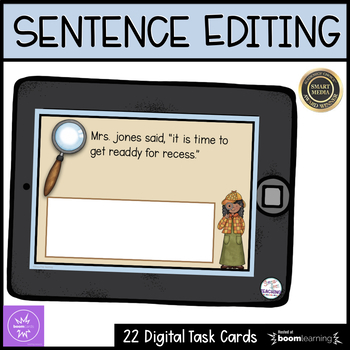 Students will use the digital task cards to practice editing sentences for capitalization, spelling, grammar, and punctuation and then retype the sentence correctly. 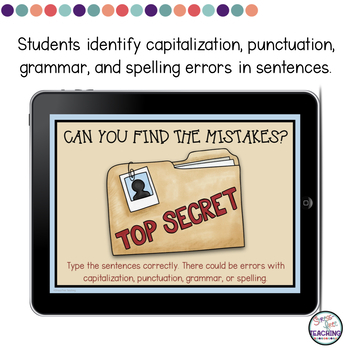 This digital resource is perfect for literacy centers, classwork, or homework. It can be easily shared through Google Classroom, too.